One of the most popular forms of digital advertising used in today’s technologically advanced society is SEO (Search Engine Optimization). However, many people still do not know what it is or how it works. 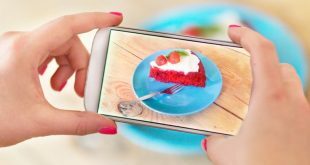 Because of this, many small businesses and self-employed entrepreneurs do not know how to utilize this advertising technique. Without proper SEO, a business website cannot receive proper traffic. If this sounds like you, this is the place you need to be. 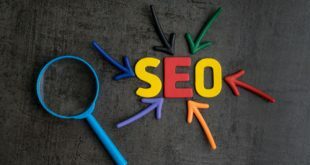 The contents of this article will describe how SEO works, what exactly it is and how to best utilize it for your business. Read on if you want to learn all about SEO and how to use it. To truly understand what SEO is, you first need to understand how search engines work. A search engine performs two main functions. The first search engine function is referred to as crawling and building an index. The SE (search engine), literally crawls through the pathways of the internet and creates an index of the billions of files, media, pages, documents, and anything else it may find. The second main function of an SE is to provide its users with a list of the websites it deems most relevant to their search in a ranked format. In other words, a search engine sifts through everything on the internet, indexes it and ranks it, then provides a relevant list every time a user performs a search. Thinking about search engines first function, to search and index everything it can access on the internet, the question becomes, how does an SE determine relevance and popularity for websites? In the early days of search engines, the only real means of determining relevance was finding certain words on a page. 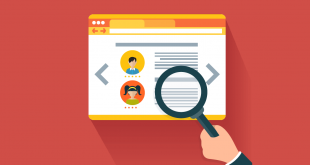 While that is still part of the process, there are now hundreds of different ways a search engine decides the relevance of any given website, document, or page. Links are of great importance to search engines being able to find and sort out everything its “crawlers” come across. As a general rule, search engines make the assumption that, the more popular a site or page is, the more relevant and important that site or page is. This is a fairly reliable way to determine the importance of a site or page, but it is hardly definitive. These assumptions are determined by the algorithms that each search engine uses. Every SE has its own set of algorithms and each one is a bit different in how it makes determinations. Now that you understand how search engines work, you can more easily understand how SEO works. The first thing you need to know about using SEO is how to use keywords. Keywords are words or phrases that are strategically placed throughout a website’s pages, content, and URL’s. The first step to using keywords is knowing how to choose the best words for the job. These words need to be relevant to your site as a whole, the particular content, and to your overall business theme. For example, if your business is a flower shop, you will choose words such as the name of your shop, flower, names of flowers, flower arrangement, flower art, floral, floral shop, and so on. If you have a mechanic shop you will use keywords like the name of your shop, car, mechanic, car repair, engine repair, transmission, tires, etc. You get the idea. These words should be scattered throughout your entire site and all of your content and URL’s. Be careful though, not to overuse these words; they should be present, but should not overwhelm your site. Since you now have a basic understanding of keywords, we can move on to the SEO checklist that you will need to work off of. The first thing to check off of your checklist is keywords if you have already done that, great! You are ready to move on to step two, meta tags. What is a meta tag, you ask? Simply put, a meta tag is a small snippet of text. This text describes a page’s content, but keep in mind that meta tags do not actually show up on a page. Instead, they are in the HTML or XHTML code of a page. These are the codes that everything on the internet is made out of. The third step on the checklist is to strategically place “search phrases” on the pages of your site. Search phrases are very similar to keywords, the difference is that these are the phrases that will pop up when people search for them. An example of this is if someone searches for “best flower to use in a corsage” and your floral shop website has a page of content that has that phrase in it. This will cause that page to pop up higher on a search result page because it is an exact match for the search. It is impossible to have search phases for every conceivable search related to your business, that is why you have to be incredibly strategic in choosing what phrases you are going to use. 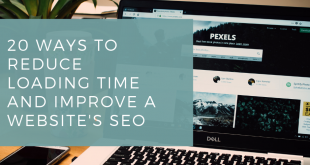 Now that you have a basic understanding of SEO and a checklist to work off of, it is time to put your new knowledge to good use. Remember that each search engine has its own algorithms and as such your first step to setting up SEO on your own site is to perform a bit of research. This research should consist of what the biggest search engines are looking for; look for Google and Bing the two biggest search engines on the market right now. After that, choose your keywords and search phrases. Once that is complete, get started on your checklist. If you are still in doubt as to your SEO skills, there are a multitude of professionals that are ready and willing to lend a hand. If you do decide that you need to hire an SEO professional, there are many places online to find one. Of course, it is also possible to find someone local to help you, depending on where you live. If you live in a city you stand a far better chance of finding someone local to you than if you are in a more rural area. Either way, don’t hesitate to reach out to a professional if you need help. Previous Bitcoin, The Number One Cryptocurrency – Who Accepts It As A Form Of Currency?